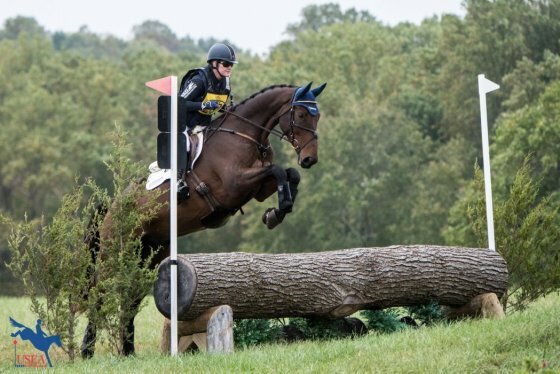 Based on feedback from competitors, judges, breeders, owners and more, the U.S. Eventing Association’s Young Event Horse Committee has implemented some significant changes to the YEH program moving forward. Effective immediately, the YEH will have new dressage tests, an entirely new scoring and judging system and some other significant changes outlined below. One of the largest changes moving forward is that the conformation section will no longer be held at YEH qualifying events, as it will only take place at championships. Thus, qualifying competitions will only consist of two sections: dressage, and the jumping/galloping test. Championships will still include dressage, conformation and the jumping/galloping test. The jumping/galloping test will now count for 70 percent of the final score at both qualifiers and championships, as opposed to 50 percent in the past. Kim Severson and Exclusively Cooley were winners of the 2017 YEH East Coast 5-Year-Old Championships. Photo Courtesy USEA/Leslie Mintz. With new the scoresheets comes a new scoring system. Each jumping effort in the jumping phase will receive a score 0.0-3.0. The course designers will place exactly 5 show jump efforts, and exactly 10 cross-country efforts, and the judges will now score each fence. At qualifying events, If a numbered fence as an “A-B” element, each letter will be scored as its own effort and receive its own score. At Championships, “A-B” elements will be scored together under the same effort. Please refer to the scoresheets above to review how jumps are scored. To view the jumping standards for competitors, click here. Based on member feedback, the YEH Committee voted to remove the “bye year” for mares, which allowed a mare that had a full-term foal to compete an age group below her biological age. The YEH Committee officially voted this out for 2018, so all horses must compete in their respective age groups. All competing YEH horses and riders must be current USEA members. Based on competitor and judge feedback, the YEH Committee has shortened the YEH dressage tests. Competitors will also notice that horses are not asked to halt at the end of their tests at qualifying events, so the horse will be scored on the walk as the horse exits the arena. You can find new scoresheets, dressage tests and more on the USEA website. All YEH judges are being asked to attend the YEH day (Feb. 21) at the Young Horse Educational Symposium in Ocala, Florida, in order to learn the new scoring system. The symposium will explain and demonstrate all the program’s changes. For those who cannot attend, please contact YEH Co-Chair Marilyn Payne to review the scoresheets before judging any YEH competitions. There will also be judges seminars at both the YEH East and West Coast Championships this fall for those who wish to remain on the YEH judges list in 2019.